Having support during pregnancy, labor and birth can make a big difference in outcomes for you and your baby, and in the way you experience and remember your baby’s birth. Pregnancy, labor, birth, and new parenthood are intense experiences both physically and emotionally. It is valuable to be supported by people who can reassure you, give you feedback, help you stay comfortable, and assist you in making informed choices about your care. Support during labor and birth is valuable and important whether or not a woman chooses or needs pain medication or other interventions. Support can begin during pregnancy. Many women and families benefit from support in identifying their birth preferences, understanding what to expect from their care provider and setting, thinking through possible coping strategies for the sensations of labor, practicing labor positions and coping techniques, talking through their hopes and fears about giving birth, and figuring out what the roles of various birth partners might be. During labor and birth, support may include emotional support and encouragement, assistance with labor comfort measures (touch/massage, breathing, visualization, use of water, hot/cold, etc. ), support for birth partners, supporting in understanding and coping with any medical interventions that are needed or chosen, and support in expressing one's wishes and getting the information that is needed to make informed decisions about one's care and the care of one's baby. Support may also include assistance with newborn care, breastfeeding, and recovery from birth. What Are The Benefits of Labor Support? The positive effect of labor support was found to be strongest when the support person was neither a member of hospital staff nor a person in the woman’s social network, and when the support person was present solely to provide one-on-one support. This type of support person is typically known as a birth doula. Who Can Offer Support During Labor and Birth? In this next section, we'll take a closer look at the various people who you can receive support from during pregnancy, labor, and birth. As someone who knows you intimately, cares about you deeply, and understands your wishes, a partner can be a great source of labor support. Partners can prepare for providing birth support by talking to you about your birth hopes, fears, and preferences, taking a childbirth class (you can find a childbirth class here), reading books (including the ones on our supplemental reading list), watching movies (including the ones on our film list), and practicing relaxation and comfort techniques with you. Sometimes partners are very comfortable in the birth setting and are able to provide all of the support that a mother needs. However, even the most attentive partner can sometimes feel overwhelmed by the birth setting, feel unsure about what is happening in a woman’s labor/birth, or be confused about the type of support to offer. For some partners, being the sole support person can be more stressful and difficult than anticipated. This is especially true if the partner doesn’t have a lot of experience providing birth support, has a lot of fears, or isn’t familiar with the intended birth setting. Some mothers are unsure as to whether their partner will be comfortable or competent in providing support. In these situations, there may be a benefit in complementing your partner’s support with the support of a birth doula (see below). Doulas can support both the mother and her partner in having a positive experience. Research suggests that having a friend or family member (such as a partner) present reduces the likelihood that you will be dissatisfied with your childbirth experience, but does not seem to reduce the likelihood that you will have various interventions. A friend or relative who you feel comfortable with, who shares your philosophy about giving birth, and who is calm and nurturing can be a great labor support. Family members and friends can prepare for providing birth support by talking to you about your birth hopes, fears, and preferences, taking a childbirth class (you can find a childbirth class here), reading books (including the ones on our supplemental reading list), watching movies (including the ones on our film list), and practicing relaxation and comfort techniques with you. Sometimes friends and family members are very comfortable in the birth setting and are able to provide all of the support that a mother needs. However, even the most attentive friend or family member can sometimes feel overwhelmed by the birth setting, feel unsure about what is happening in a woman’s labor/birth, or be confused about the type of support to offer. For some friends and family members, being the sole support person can be more stressful and difficult than anticipated. This is especially true if the friend or family member doesn’t have a lot of experience providing support, has a lot of fears about birth, or isn’t familiar with the hospital setting. There may be a benefit for both the mother and her friend/family member to having a birth doula or other support person present who can complement the efforts of a friend or family member. Some women feel obligated to invite certain friends or family members to their birth. It may be useful to ensure that anyone you invite into your birth space is someone who you can “be yourself” around, who is going to be able focus solely on you and to provide calm, supportive care that is in line with your wishes, who has some basic knowledge of labor support, and who is okay with being “on call” (which may involve being gone from their work or family responsibilities while you are giving birth). For those who want to be involved but who you are not comfortable having with you during labor and birth, it may be worthwhile to come up with a list of other ways in which they can be helpful to you and feel included – for example helping you choose and set up baby items in your home, making meals to keep in your freezer for after your baby’s birth, helping with older children, or providing postpartum support. Research suggests that having a friend or family member present reduces the likelihood that you will be dissatisfied with your childbirth experience, but does not seem to reduce the likelihood that you will have various interventions. A birth doula is a person trained and experienced in providing continuous physical, emotional, and informational support to a mother and her family before, during, and just after childbirth. Doulas do not perform medical tasks and are involved in the birth process solely to support the mother and family. A doula will typically meet with you before your baby’s birth to discuss your birth preferences, care provider/setting, comfort measures, feelings about giving birth, and the roles of those who will be present. Some doulas offer labor support in your home until you are ready to go to your chosen place of birth, while others meet you directly at your birthplace. Doulas offer continuous support during your labor and birth, including emotional support, encouragement, labor comfort measures, tools to help your labor progress, support for your other birth partners, help in understanding and coping with any medical interventions that are needed or chosen, and support in getting the information that you need from your provider to make informed choices about your care. Doulas typically stay for a couple of hours after your baby’s birth to assist with breastfeeding and recovery, and they often conduct at least one postpartum visit to check on you and your baby and provide you with any resources you may need. Doula support during labor can be valuable and important whether or not a woman chooses or needs pain medication or other interventions. Comfort strategies, suggestions for labor progress, emotional support, and information are all needed regardless of whether medication or other interventions are used. Some couples worry that if they invite anyone else to the birth of their child, it will interfere with the intimacy of the experience. Doulas are trained to preserve the intimacy of the experience for couples and families, and to complement and enhance the support being provided to a woman by her loved ones, and by the health care provider(s). Recent evidence has demonstrated that this type of labor support companion has the strongest positive impact on a woman’s birth experience and outcomes. So even if you plan to have your partner and/or friends and family present, working with a doula may be valuable. See below for information on how to find a doula. Midwives, obstetricians, and nurses have a wealth of experience caring for during labor and birth, and provide labor support to varying degrees depending on their training, experience, and interest level. Talking with your provider and hospital about the type and amount of labor support that they provide, and the type of support that you are looking for, can be helpful in giving you a sense of what to expect from your provider in terms of labor support. 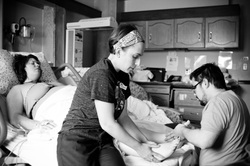 Medical providers typically have many responsibilities other than labor support, care for multiple patients at a time, and work in shifts, so it is often difficult for them to provide one-on-one continuous labor support. In some birth settings, especially those with high rates of pain medication usage, some nurses and other providers may not have a lot of experience or interest in supporting women who want an unmedicated birth. For women interested in this option, it may be valuable bring along some additional labor support. If you decide you want to hire a doula, there are many ways to find doulas in your area. If you are in the DC area, you can browse the Birth Options Alliance list of Birth Doulas, as well as our list of doulas offering free and reduced cost services. And this site lists doula volunteer programs around the country. You can also find a doula by asking your midwife or doctor for a recommendation, posting on a local parents’ message board, or asking your childbirth educator (many of whom are doulas themselves). Your intended birthplace may have a doula program. You can also contact a doula trainer in your area to see if they can refer you to recent trainees (many of whom may be willing to attend your baby’s birth at no or reduced cost). More information on affording a doula can be found below. Once you have identified some possible doulas, you can narrow down the list and conduct one or more interviews. To narrow down the possibilities, you can consider information such as geographic area (having a doula who lives close to you or close to your intended birth setting can be very helpful), philosophy (for example some doulas prefer attending ‘natural’ births while others are more open to supporting women who choose or need pain medication and interventions), experience (some doulas are new, while others have been practicing a long time), training/credentials (some doulas are certified and some are not, and there are different certifying organizations), cost (doula fees can range from $0 to more than $1000), skills (some doulas have additional skills in areas such as massage, yoga, lactation consulting, acupuncture, postpartum doula work, etc), and personality. Once you’ve narrowed down your list of possibilities, you can contact some doulas to set up an initial consultation. Most doulas offer these consultations free of charge, to give you, your partner (if you have one), and the doula an opportunity to see if you are a good match. At this consultation, you can tell the doula about yourself and your wishes, and ask her about herself. Here is a great list of questions for doulas, compiled by Childbirth Connection. Choosing a doula is an important decision. 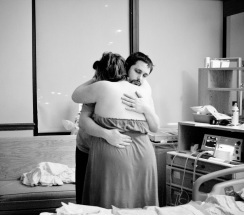 A doula will be with you during a very intimate and important time in your life. It is important that whoever you choose is someone who you (and your partner if you have one) feel very comfortable with, who seems skilled and knowledgeable, who listens to and respects your wishes, and whose personality is a good match for you and your partner. Check with your health insurance to see if they cover doulas. Check with potential doulas to see if they have helped other clients get insurance reimbursement. Find doulas-in-training or newer doulas who may be willing to attend births for free or at a reduced cost. You may be able to find these doulas by contacting more established doulas and asking for recommendations, or by contacting local doula trainers to see if they can connect you with recent trainees. Check with more established doulas – sometimes they are willing to attend a birth at no or reduced cost (for example some doulas routinely attend one or two births a year for free, as a service to the community), or set up a payment plan. Doulas may also be willing to barter or trade for goods or services. See if there’s a volunteer doula organization in your area here. Ask your friends and family to pool their money and purchase you doula services as a shower gift.